Mazda B Scene, Welcome to Street Source! Welcome Mazda B Scene Members! 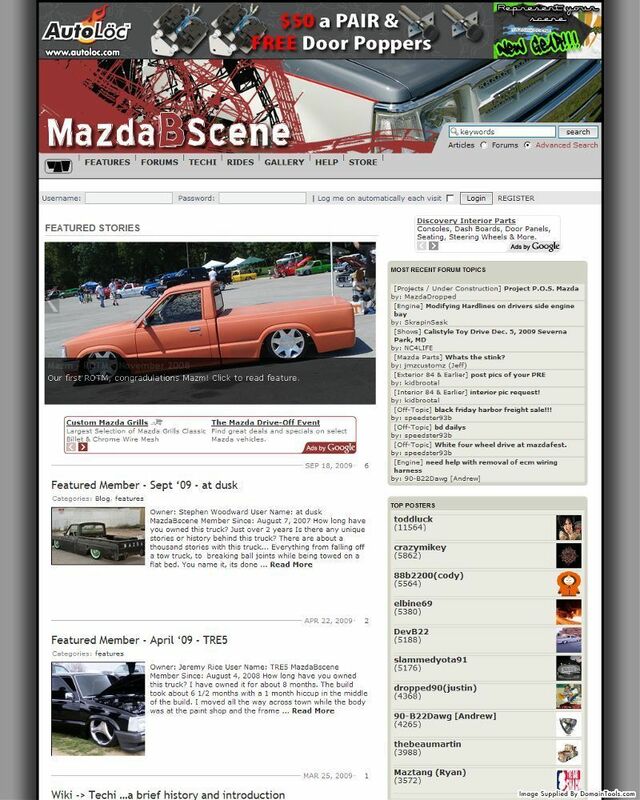 Mazda B Scene is now part of Street Source. You may be wondering, what does that mean? You may not have realized but the same platform has been powering Street Source and also Mazda B Scene for awhile. All of your data has been migrated over, including any ride pages you have created. Also with the integration of Mazda B Scene content, you can now customize the threads that show up in your feed and your threads page! Click on your settings and then sites to check it out! This newsletter has been viewed 987 times.